Some days ago I met my buddy Daniel Lieske. We meet us regularly to talk about all kind of topics like art, crazy ideas and all other things we do or plan to do. Daniel is creating his own graphic novel since some years. 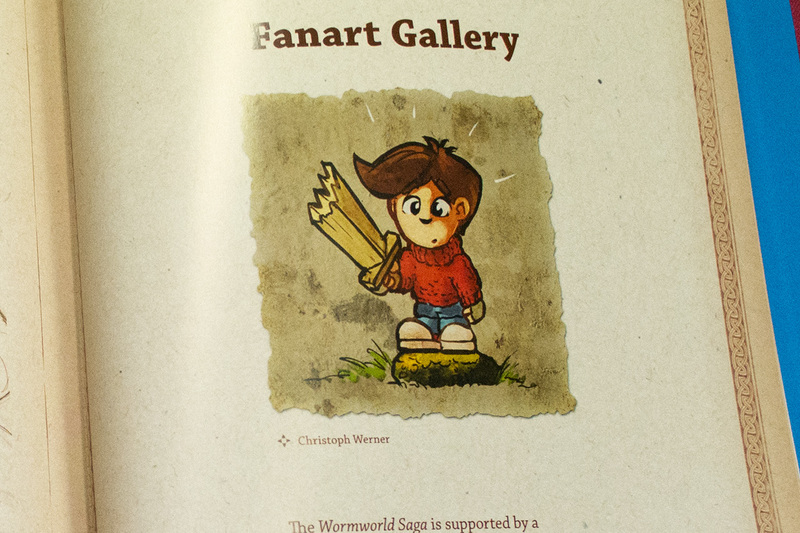 It is called The Wormworld Saga and have already a lot of fans in all over the world. Daniel has published his first book in english language recently. 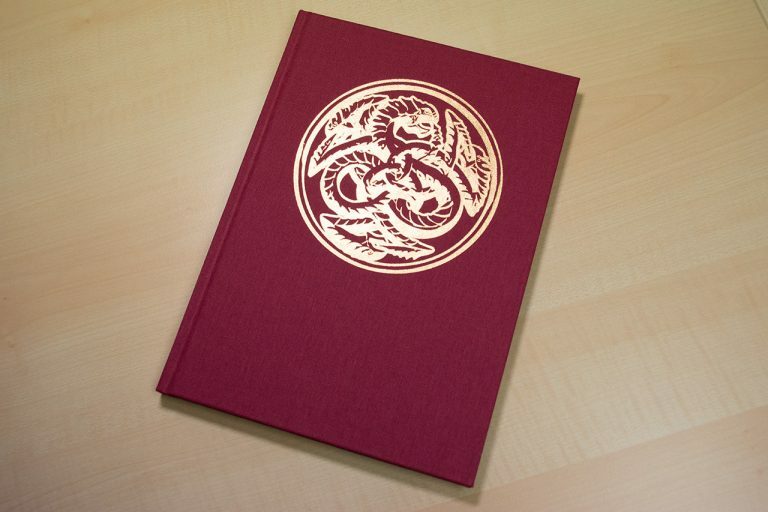 And this book comes in a special edition. 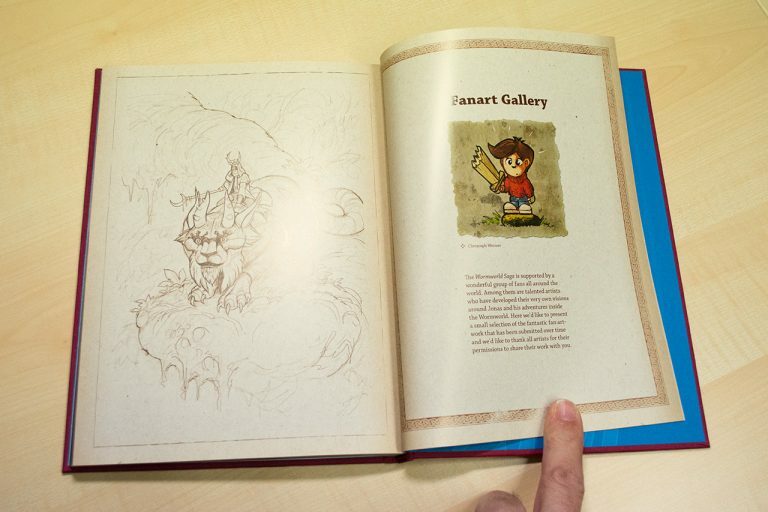 The book offers a fan artwork area. And Daniel placed my small fan artwork as the first one of the fan chapter! It made me very proud to be published with my small scetch in his book. Just great! I want to show you my copy of the comic here and hope you take some time to visit The Wormworld Saga website after reading this. Daniels comic is created completely digitally and the online version is available for free. 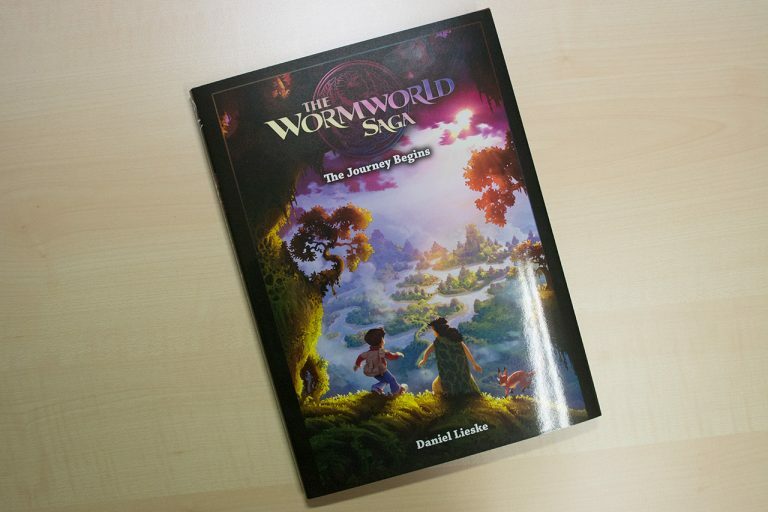 If you like, there is an offcial The Wormworld Saga shop too, where you can buy great stuff like signed posters and much more. Every new reader helps him publishing more episodes in the future. Here the bookjacket to safe the fabric cover. The cover is very nice and made of fabric with a golden logo. Available in this edition only! The fan artwork chapter begins here. Artworks, Blog, personal, persönliches, Tutorial. Lesezeichen.